As one of the leading online casinos, Redbet loves to introduce new players to their site, and, like many others, they do this through a welcome bonus. Welcome offers, regardless of their form, have become a staple of the online casino industry and Redbet is no different. Casino bonuses have helped to attract new players, whenever they’re made available. Land-based casinos are very popular, but since they’ve been moved online, they’ve significantly increased in popularity. It’s become one of the fastest-growing industries of any for a number of reasons. Firstly, they’re open 24 hours a day, seven days a week, making it easily accessible to players from wherever they like. Secondly, it’s such a fast-paced industry that there are constant changes being made. These are made on a daily basis and the advancements ensure that the product doesn’t remain dated and keeps modernising so that more people want to sign-up and register. Other reasons as to why online casinos have increased in popularity are because of the choice and sheer quantity of casino games. There is something for all online casino players, whether they’re table game fanatics who love nothing more than a game of roulette or blackjack, or slot game lovers who get a thrill out of spinning the reels. However, the main reason why they’ve become so popular are the bonuses available. Welcome offers and promotions, regardless of whether they’re used on slots or table games like poker and roulette, have helped to entice new players to join a casino online. At Redbet, new players are welcome with a three-tiered bonus once they’ve made a deposit. The Redbet welcome offer works as a deposit bonus, meaning that players will receive a bonus as soon as they’ve made a deposit on the site. Firstly, when players make a deposit up to €50, Redbet will match it and give them 50 free spins to use on the NetEnt slot game, Warlords. Like many casino offers, there’s a bonus code involved and players must use the code WELCOME. It’s the same kind of offer when a player makes a second deposit. Again, when a player makes a deposit up to €50, they’ll receive a 100% bonus and 50 free spins to use on one of the most popular games available, the Starburst slot. Another bonus code is required, this time it’s WELCOME2. Lastly, once a third deposit is made, players will receive a 50% deposit bonus up to €100 and 50 free spins to use on another NetEnt slot, Gonzo’s Quest. Like the two previous offers, another bonus code is required, WELCOME3. To take advantage of all three deposit bonus offers, a minimum deposit of €20 must be made and the bonus funds have wagering requirements set at 35x before a withdrawal can be made. All free spins must be played within 7 days of the qualifying deposit. You can find the Offers tab on the homepage that’ll direct you to all of Redbet’s promotions. 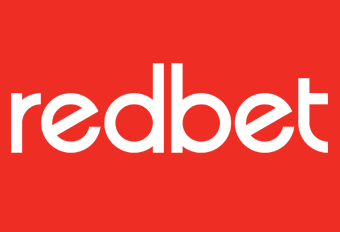 Although, in contrast to many of the other online sportsbooks and casinos, Redbet have merged all their promotions together, making it a bit harder to find what you’re looking for. Despite that though, there are still a host of different promotions online, including the weekly Feature Hunter game. This takes place every weekend and players have the opportunity to win €1,000 shared cash. All you have to do is activate features in the game every week and you’ll be rewarded in points, with the person with the most points winning the top prize. One of the most exciting advancements in the world of online casino is the introduction of mobile gambling. Mobile gaming allows players to enjoy all their favourite games and everything that a casino has to offer, whenever and wherever they want. Redbet’s mobile casino is one of the best around and is available on both iPhone and Android devices. It features dozens of games, mostly slots, is user-friendly and excites everyone who plays when they’re on the move. The introduction of mobile gaming has revolutionised the gambling industry and has made gameplay much more accessible to casino-goers. When you accept any promotions, whether it’s free spins, first deposits and other cash prizes, you must check the specific terms and conditions of use for your bonus before enjoying it. There are usually wagering requirements to check before taking part. Wagering requirements are a key factor in any welcome bonus, as you must meet them in order to unlock the winnings from the bonus. These are requirements that you must meet in order to unlock the winnings from the bonus. Redbet’s are set at 35x, meaning that you have to wager your bonus 35 times before being able to make a withdrawal. The terms and conditions are very important to read, otherwise you might find yourself missing out on winning from the bonus. There are a number of payment methods and e-wallets available to use at Redbet, including NETELLER, Skrill and paysafecard.